Eight friends trapped together on a remote mountain retreat, they aren't alone... and one of the friends is Hayden Panettiere. From Sony and Supermassive Games comes the PS4 exclusive, 'Until Dawn.' 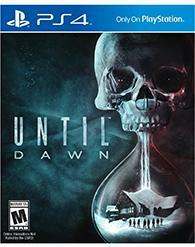 As related by the developer, the classic horror movie set-up turned game that is 'Until Dawn' began life as a PS3 title. Later, it became a PS Move title. Finally, it became a semi-premiere PS4 title. With each jump, the visuals and the acting talent was restarted. The result is a game which on the surface, hasn't skimped on the visuals or the production quality. In a year (and a season) where the PS4 needs exclusives, 'Until Dawn' enters into a challenging marketplace. Horror aficionados everywhere beware: there's a new creepy game on the block! 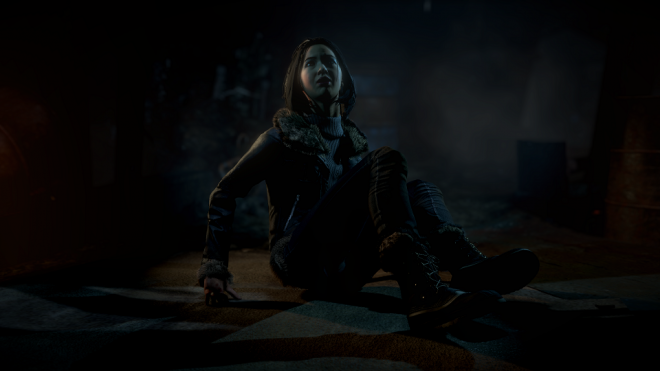 With the help of established actors and a by the numbers screenplay, 'Until Dawn' has what it takes to enter the video game scene with a bang. If 'Silent Hill', 'Resident Evil' and 'Alone in the Dark' are the horror games that nailed the perfect mix, then this British offering will be met with great enthusiasm. Dare ye enter the lodge? 'Until Dawn' kicks things off immediately with a strong bit of style that is common for movies but not so much for games. The unsettling opening credits akin to 'American Horror Story' immediately change the scheme, alter the mood, and electrify the boys and girls (to quote Castor). Characters are then introduced as in a sitcom (think big close-ups and wide grins), with their traits spelled out. Sam, the main heroine, for example, is diligent, considerate and adventurous. Okay, guess I’ll just believe that. Internal relationships are also left unambiguous, so do take it for a fact that Sam is "Hannah's best friend". And, hopefully, vice versa. In 'Until Dawn', a group of 8 teenagers decides to spend the weekend in a lodge on a deserted mountain top, owned by wealthy family with surname of Washington. Exactly one year ago, the same group banded and bonded in the same place, and tragedy struck. Now, they regroup in the hopes of moving forward, but in the interest of an interesting game, the past always has a nasty habit returning in spades. It's not unlike the unwelcome return of pesky button prompts and the world of quick time events. I truly hate this control scheme, and wish it would just disappear from the gaming scene altogether. In a 'Heavy Rain'-esque way, the choices made will influence the outcome of the game. "Finally, you'll be able to do what the stereotypical horror movie teens never did: be smart and wisen up". At least, that's what developer Supermassive Games promises. In reality, however, things sadly aren't as black and white, and even choosing between two options can yield two stupid results. Sometimes, the smart or sensible answer just isn't available. A stupid character will run away, and we will have to follow instinctively. Even though staying inside would be wiser. As such, I feel slightly cheated by the developer's promise. One egregious example involves a choice between a psycho's two options: only one of my friends will survive, at the mercy of a lever that has to be pulled. Okay, fine. I then decide not to pull the lever at all, to save both my friends. Fat chance, as the cut scene will decide for you. Cue the rage. Don't pretend to give me a choice if that's the way you roll, game. For game reasons, I can't call or reach my friends when I'm all alone in the snow. How exactly are these teenage horror movie tropes meant to make me feel smarter than horror movie teen if my choices all just a fraught with 'Cabin in the Woods' logic? Even doing what's right and taking the sensible option ("let's go back and cry in our room") will result in a NPC talking you out of it. Not helping, game, not helping. The Butterfly Effect plays a huge part in the proceedings. Every choice has consequences later on. Now I know, and knowing is half the battle. Actions must be chosen with caution. Supermassive Games has a small resume with a few PlayStation Move titles under their belt. In fact, this game was originally planned for the PlayStation 3 before development shifted to the PS4. There's evidence of that in the final product. The control options allow the player to select his or her preferred method of control: traditional controls, or motion controls. Thankfully for those who regret their choice during gameplay, this can be changed at any time via the Settings menu. The game has been wonderfully framed, cinematographed even. Objects will sometimes pop in and out of focus, dance and zoom around the player, to unsettle and mess with the mind. The script, by real horror movie scribes Larry Fassenden and Graham Reznick, is filled with moronic talk and stupid lines, including this gem: "I mean, you know, whoever". Granted, this is a deliberate, stylistic choice to accurately paint the dumb teens, but still, it's can be grating to say the least. Not all teenagers talk like this, especially when at least two of these virtual examples are described as "intelligent". Going from one chapter to another gets interrupted by a "previously on" recap, as if the whole game's a television series. An original choice, but a weird one. Scenes that just went by mere minutes ago get repeated. The cast is mostly excellent. The great (and creepy in his own right) Peter Stormare has been mocapped into badassery and he commits himself beautifully to his role. He grins and pouts, while his puffy cheeks try to outperform him, and he chews the scenery like a pro. Apart from him and Hayden Panettiere, the other actors were unknown to me, but they acquit themselves well. Jumpscares are all around. I, for one, am a big sissy that gets his horror fix with the scary enough 'Luigi's Mansion'. As such, this game has shortened my life expectancy by a good margin. Thanks a lot, Supermassive Games. If I die before my time from cardiac arrest, my estate will sue you. 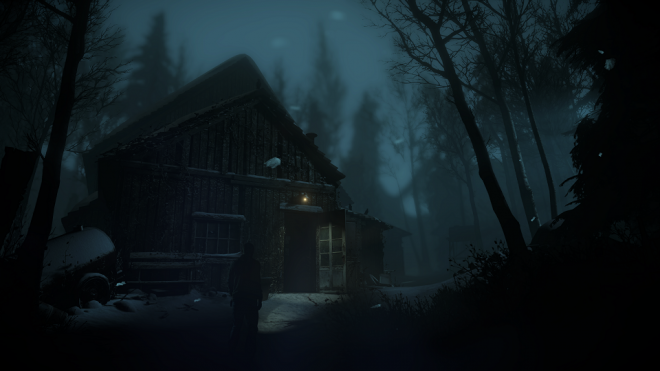 Don't play this game alone in the dark if you want to live to see the next day. In the end, 5 out of 8 characters survived during my playthrough. That's okay, for a first try, I guess. One death occurred in the first hour, the final two just minutes before dawn. The deaths left me raw. Especially the final death, of which I still can't believe the way it happened. So very unfair. I did nothing wrong. 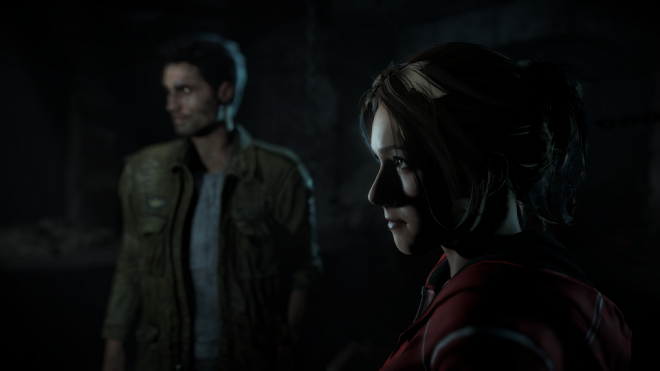 'Until Dawn' will test your patience, but eventually reward you. A beautiful game, but those quick time prompts nearly run it into the ground. Thanks to real actors standing in for their digital counterparts, and with the help of motion capture, scans, and body tracking, all the movements are incredibly photorealistic. It’s a pleasure to see human (though virtual) beings behave and move so smoothly. The animation transitions are a cut above the norm, and comparatively never take the player out of the experience. This fluidity enhances the interactive horror movie feel. Even the eyes and the skin are great at avoiding the dreaded uncanny valley. Great work all around. There's just one serious exception. The teeth. These kids (and Stormare) have been cursed with ill-fitting dentures. No idea what went wrong there, but mouth after mouth of weird, bulging, twisting teeth are there in a distracting and detracting manner. Real-time lightning is always spot-on, and makes for a very creepy atmosphere. Smoke and haze add a lot of husky coolness, and shadows are used to maximum effect. In a rare move, the cut scenes are often a tad less realistic than the actual gameplay. (Remember the other way around, in the old days of video games, when developers would try to impress us with FMV and underachieving in-game footage?) There’s also one off-model wolf in the best ‘Jumanji’ tradition. Characters also have a weird murderous lens-flarey glint in their eyes during cutscenes, as if J.J. Abrams directed them. In all, a beautiful and striking PlayStation 4 title that proudly shows off exactly what the system can do. Characters speak as if they’re stuck in the tubular, bodacious linguistic sensibilities of the early 90’s ("that’s so rad"). However, the game takes place in 2015, and current fads like tweeting and hashtags are mentioned. Sound effects come straight out of the big book of horror clichés: think adjectives like "scary", "creepy" and "screepy" (a mix of both) in abundance. With my easily upset sense of fear on-hand, I had to turn down the volume and turn on the subtitles in order to minimize the scares. Music is mostly absent (it's something like the eeriness of the 'Souls' with music and foley always a function of tension), and what's there is either faint, ambient or filler. Expect lots of sudden loud noises to enhance the creepiness. In an odd twist, the brief time required for a single playthrough encourages multiple replays as there are different ways to play the game. The eight playable personas can survive, or can die. Even though I didn't always think the choices were fair, I think I could get all eight through alive. Should I fail few more times, there's a slew of different endings. The eight characters mean a lot of different approaches, but in my case, the scariness can be fatiguing. Bonus material includes behind the scenes clips (with Blu-ray quality video) as a possible reward. It’s quite amazing to see how much some (not all) actors resemble their virtual counterparts. A nice touch. 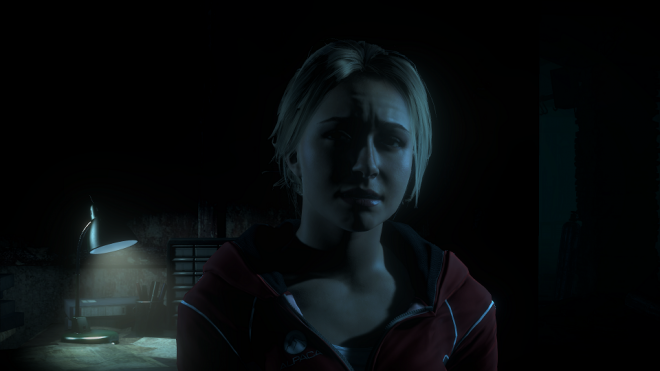 'Until Dawn' should be on top of every horror fan’s must buy list. The game effectively presents the tropes and the stereotypes of the genre in a graphically stunning interactive adventure. Those who loved 'Heavy Rain' or 'Beyond: Two Souls' and thought those titles lacked genuine scary moments, will almost certainly eat up 'Until Dawn'. It shortened my life expectancy by a considerable margin.